For more than 2 years now, the Silicon Rhodamine-like (SiR) technology has allowed the live cell imaging field with fluorescence microscopy to evolve significantly. Fluorescent SiR-probes have appeared as the best alternative tools for studying Actin (SiR-actin), Microtubules (SiR-Tubulin), DNA (SiR-DNA) and now lysosome (SiR-Lysosome) for live cell imaging. Who better to show this? Well, here’s how other researchers have been using them to get optimal results. These probes allow you to easily visualize all these targets without any transfection (permeable stain), with mostly all of the fluorescent microscopes (including high resolution microscopy). Furthermore, their far red excitation and emission wave lengths (λabs of 652 nm and a λem of 674 nm) give them excellent brightness (fig 1 to 4), without any toxicity on target cells when used in the recommended concentration ranges. Fig. 1 – 3D SIM microscopy of labeled micotubules in primary rat cortex neuron body stained with SiR-tubulin. Fig. 2 – 3D SIM microscopy of labeled actin stress fibres in human primary dermal fibroblast stained with SiR-actin. With all these characteristics, SiR-probes are increasingly used and acclaimed by more and more researchers, as revealed by the number of publications and the brilliant results obtained over the last two years. Today, I invite you to take a look to the latest publications using the SiR-probes. In this review, the authors discuss the image based evaluation of apoptosis by imaging flow cytometry in parallel with other techniques. They also highlight a number of multicolour probes compatible with these different techniques. The SiR-DNA probes appear now as the most suitable nuclear stain for live cell imaging (time-lapse studies). In this publication, it’s shown that the WF-10 drug is able to impair the « serial killing » activity of activated Cytotoxic T-cells(CTLS). This phenomenon has been shown to be induced among others by an elevated level of F-Actin. To get these results, SiR-Actin probes have been successfully used in combination with flow cytometry analysis (LRSII). In this Cell Science review, the authors evaluate the different techniques and approaches currently applied to analyze and visualize cellular actin structures. For live cell imaging, the advantages of the new SiR-Actin cell-permeable probe over other methods are of course listed. The combination of the SiR-Actin probes and super-resolution microscopy (STORM system), allowed Alexander Mishin team’s to visualize fine actin structure in tumour tissues at high resolution. Patrick Robinson, Matthew A. Caporizzo, Hossein Ahmadzadeh, Alexey I. Bogush, Christina Yingxian Chen, Kenneth B. Margulies, Vivek B. Shenoy, Benjamin L. Prosser (Science, 22 April 2016, vol.352, issue 6284). The SiR-Tubulin probe was successfully used in this Science paper to investigate the impact of stable detyrosinated microtubules on cardiac muscle strength. As you already know, a little less than a year ago, Spirochrome developed and launched a new line of SiR probes for multicolour live cell imaging : The SiR700 probes. With their unique optical properties, you can easily combine them with the classical SiR probes to boost your experiments and to obtain resolutive multicolour live cell imaging results. 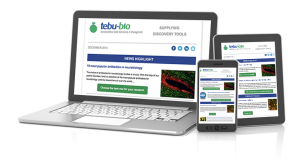 For more information on these SiR700 dyes, browse our post on this blog, or visit tebu-bio’s web site to see which SiR probes are best suited to your needs. Have you already used them? Share your comments! Get in touch below to find out how you can benefit from a special introductory offer, or if you have any questions or comments regarding these probes. 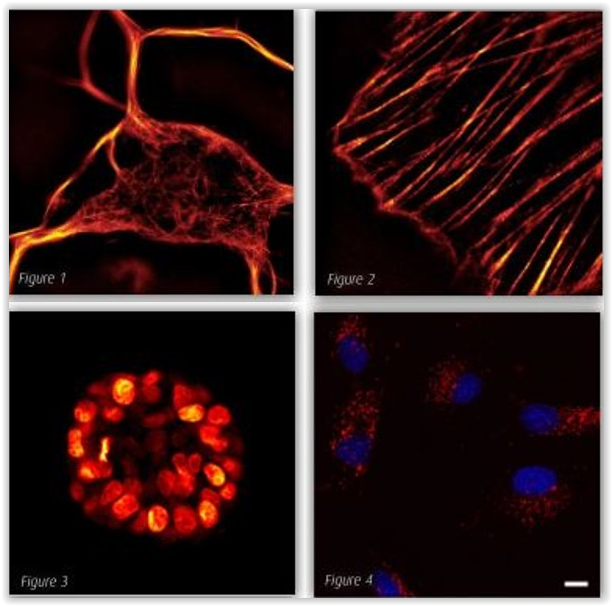 Interested in learning more about tools for fluorescence microscopy like this? Subscribe to thematic newsletters on your favourite research topics.